An allergy is a disorder of the immune system in which it recognizes as enemies otherwise harmless substances from the environment. Blood tests, blood samples, provocation tests. 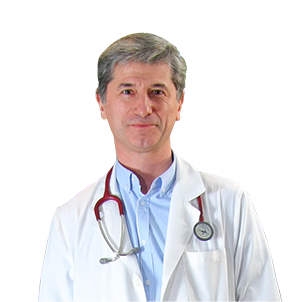 In our practice we perform all the contemporary methods of treatment of allergic diseases. We would be glad to provide you our professional skills, approach and treatment in order for patients to have the best chances to be cured and reduce allergic symptoms. The main places where allergic diseases are manifested are the respiratory system, the skin, the digestive and cardiovascular system. At our clinic we would be glad to assist you with our qualification, clinical experience and care towards our patients, in favor of their health. Since we visit you for treatment, my child feels much better, takes less medicines. On our way to your cabinet, she always says: "We are going to MY doctor!" Thank you for your caring approach! There still are good doctors - caring, warm-hearted and empathetic! Thanks from the bottom of my heart, doctor! For your professionalism and generosity, demonstrated towards my daughter! Best wishes to you and your whole team!